26.5W x 26.5D x 20H. Very Good refinished condition. Attractively figured walnut and oak veneers with oak solids. 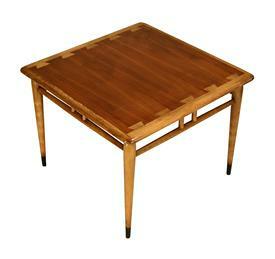 This table is unusual in its larger size, and fully scaled for today's larger homes.